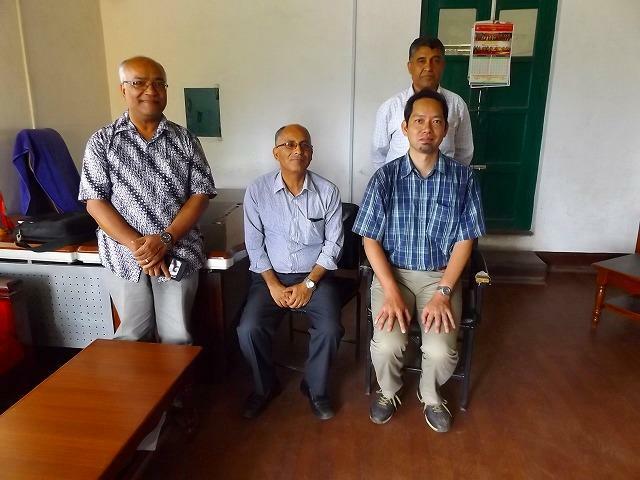 The Institute of Mountain Science (IMS) at Shinshu University and the Institute of Science and Technology at Tribhuvan University (a national university in Nepal) signed a bilateral memorandum of understanding (MOU) on academic collaboration in January 2013. Since then, IMS researchers have participated in joint research on mountain glaciers, permafrost, land creep disasters and so forth in the Nepalese Himalayas based on this MOU. The Tribhuvan University Institute of Science and Technology's Department of Geology put in a request to the IMS director for the dispatch of a visiting professor to Nepal to teach an intensive class. The Tri-Chandra Campus' Department of Geology established the Engineering Geology course at their graduate school in February of this year; however, no professor was available to teach the "Applied Geomorphology" course which is a requirement of all first-year master's students (who, this time around, are also the first students of the new master's program), so Tribhuvan University requested a personnel loan from Shinshu University via the above mentioned bilateral MOU. In response, IMS sent Assistant Professor Katsuhiko Asahi of the Department of Geomorphology, Geology and Disaster Prevention to Tribhuvan University, where he taught a fifteen-hour course (1 credit in Nepal, equivalent to 2 credits in Japan) from June 21 to 29. 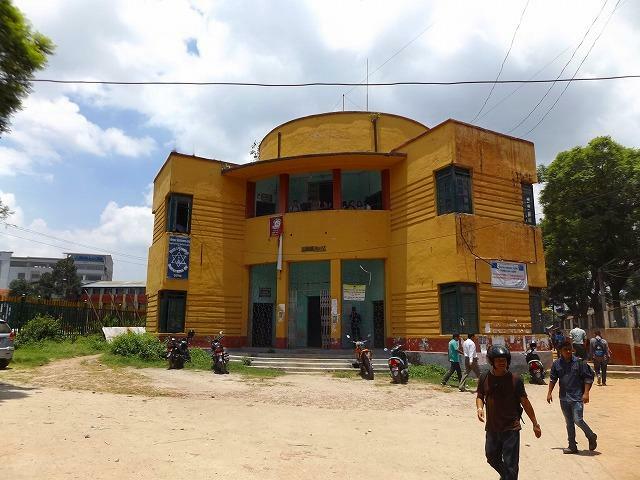 Despite the high standard of education at institutions of higher education in Nepal, they are lacking in terms of hands-on work and experience in the field, which leads to insufficient linkages between knowledge and real-life experience. 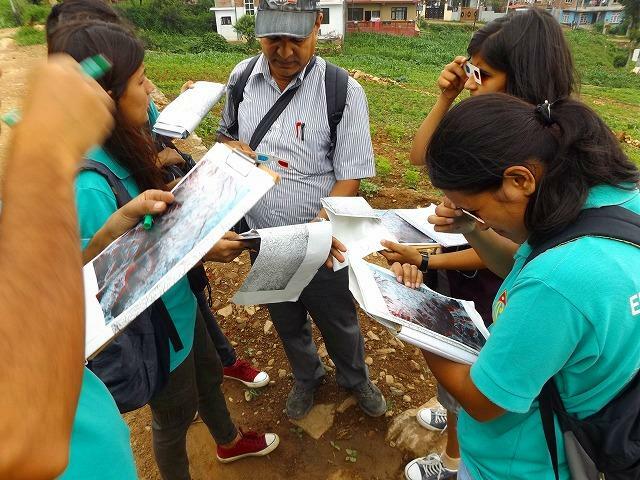 In response, Asahi provided students with real-life practice in interpretation of aerial photographs, took them on a day-long excursion to explore an active fault, and employed other such approaches to bolster the effectiveness of education in this developing country. Asahi's lectures were carried out in English as is the norm at institutions of higher education in Nepal, but his hands-on activities and field work, excursions, question-and-answer sessions and other such activities were carried out in Nepali. Starting next year, a younger, locally based professor will take over course instruction based on the teaching materials established by Asahi. Even though Nepal is a developing nation, the country is a leader in both repute and actuality in the field of mountain science, and IMS has a lot to learn from the Nepalese people. 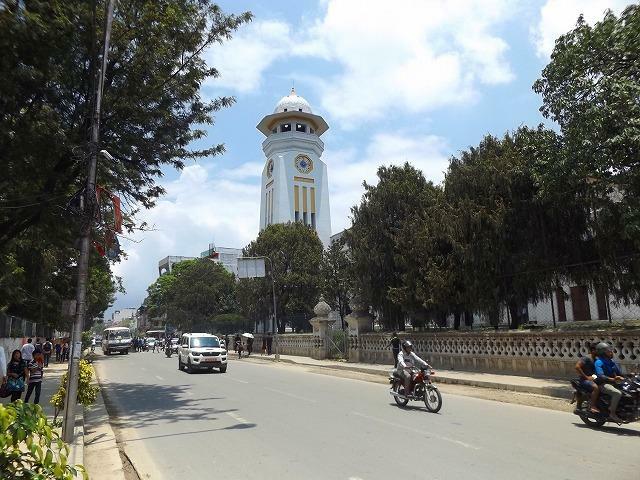 This latest instructor-lending arrangement transcended the bounds of the initial MOU and achieved true cooperation between the academic institutions involved, with both parties hoping for even stronger collaborations in the future.